You can walk anywhere in Israel and know that Jewish history took place there. And sometimes, it relates to the great kings of Israel – like King David! King David is one of Israel’s most well known kings. He named Jerusalem as Israel’s capital. He wrote the book of Psalms. King David’s son built the first Temple. The list can go on and on! But what is so fascinating is that you can walk through Israel and walk in the same places as King David walked thousands of years before. It is something unique about Israel – everywhere you go, history is so, so present. History still plays a role. It is still there. The connection between Jewish history and the Jewish people meets in Israel. The names of the streets, towns, hotels, and more also reflect that unbreakable bond. Why Do People Deny History? It seems so foolish when people ignore history! It is a lot harder to deny the facts than to accept them. How much more difficult is it to try to cover up archaeology and history than to accept what has already been revealed? Listening to and watching this video about Beit She’an is captivating. It feels so real, because it is. 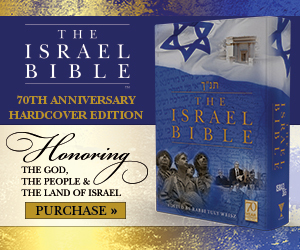 It seems crazy that even some Bible-believers deny the undeniable connection between Israel and the Jewish people! The Bible is so clear about who the land belongs to. History is clear. Archeology is clear. What other proof do people want? It seems that nothing is about proof or the truth. It is all just about denying the Jewish people’s right to exist and right to exist in their own homeland. Despite all the wars and battles of ancient and modern times, the Jews remain. The Jewish land remains. The people of Israel are still here to tell their story. Other big and great nations have came and disappeared off the face of the earth. There is nothing about them in history. But the Jews are still here. And they are not going anywhere.